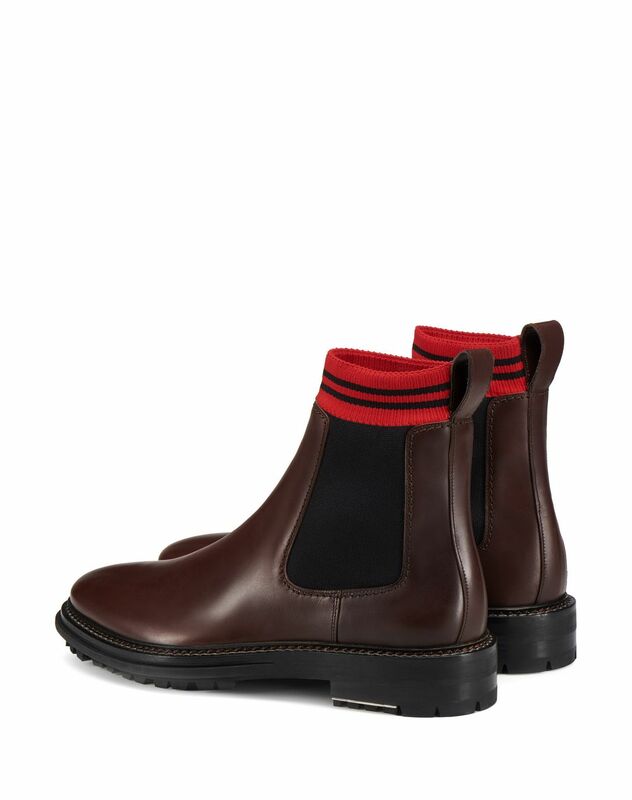 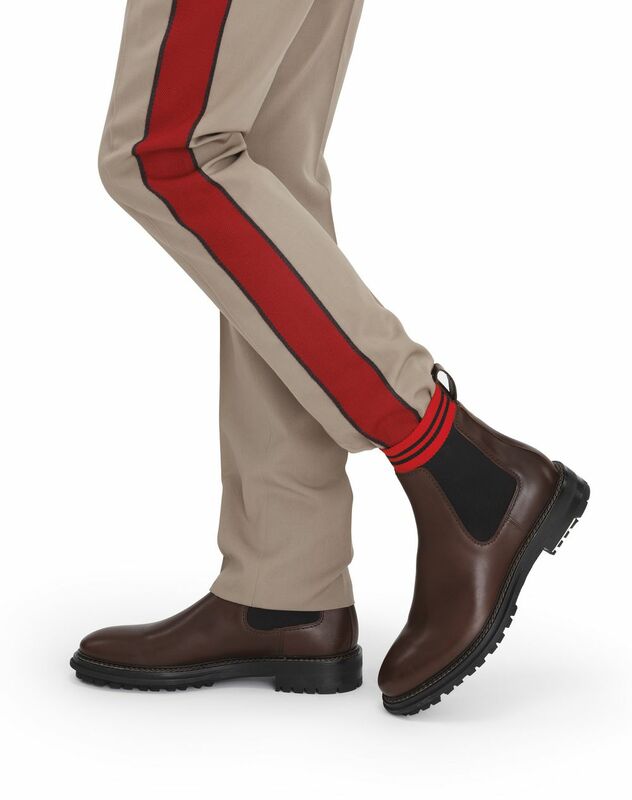 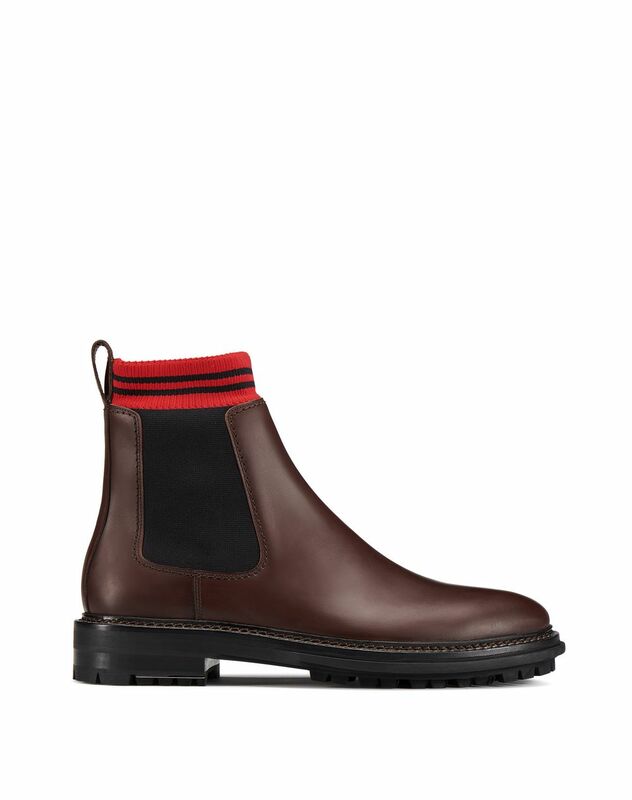 Chocolate-colored Chelsea boot in smooth calfskin leather, red sock with black stripes, ankle tab, and black notched sole with metal reinforcement detail. 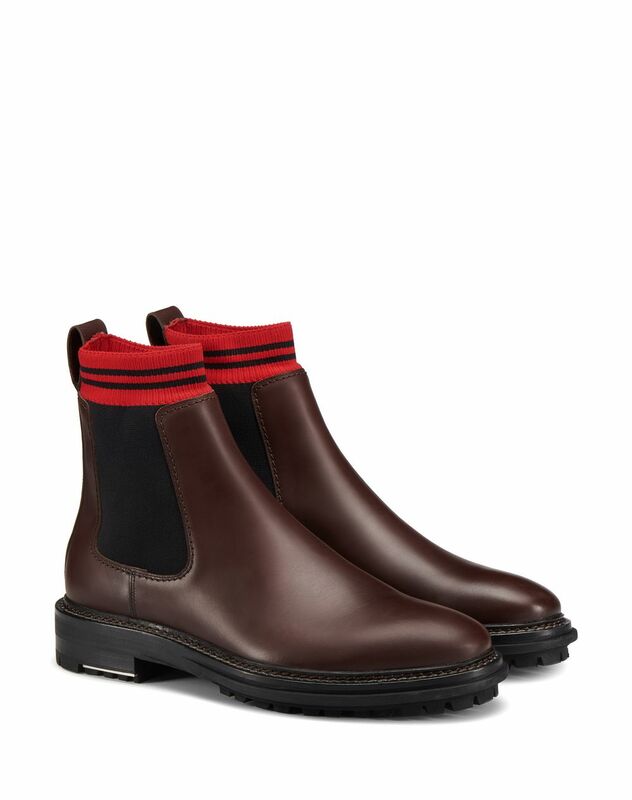 Lanvin has reinterpreted the Chelsea boot, a male wardrobe staple. 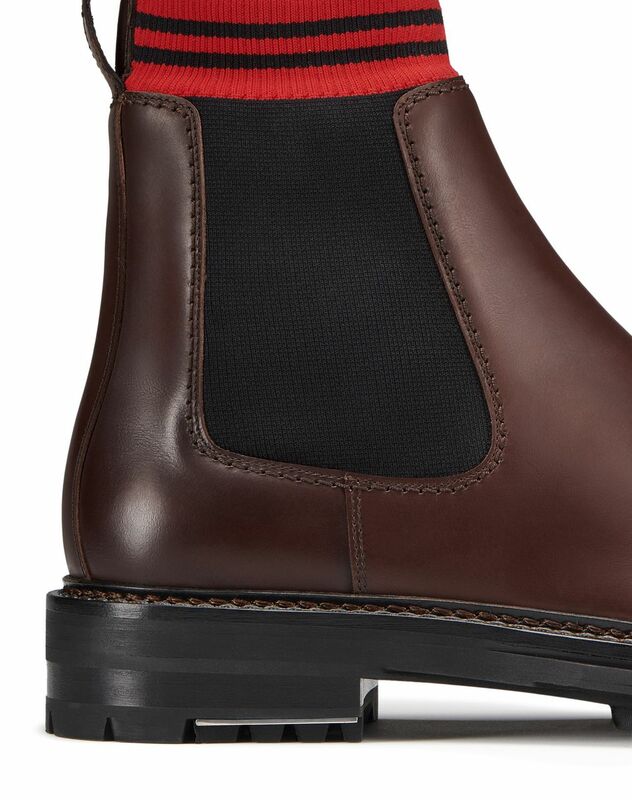 Made from smooth chocolate-colored calfskin leather, the boot stands out for its sock detail, which adds contemporary and stylish flair.